There are so many things that enliven us as bridal industry professionals. Bringing exclusive dresses from the most coveted designers in the trade tops the list of things that excite us at Alexia’s. Today, we’re showcasing several pieces from Chantel Lauren’s 2018 collection. 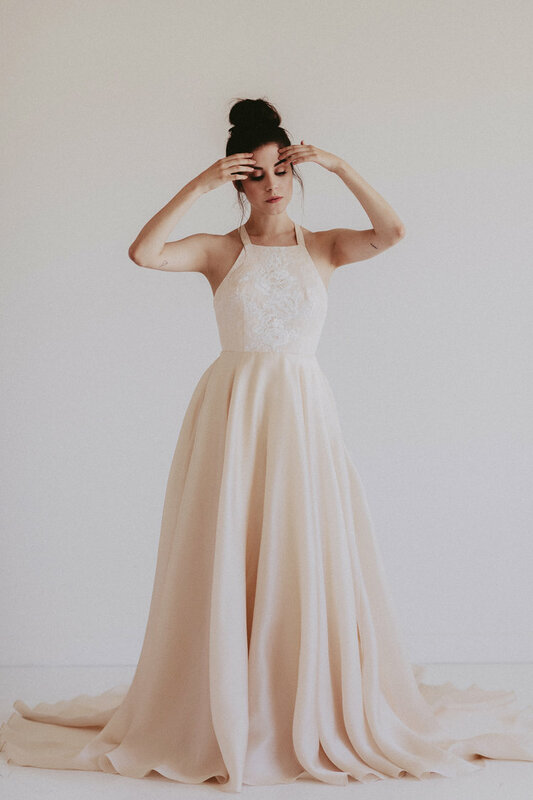 The brand that focuses on curating “iconic gowns for spirited babes” focused on inputting simplistic, old west elements into each of the gowns for her most recent collection - we wouldn’t expect anything less from a true Texas gal. The luxurious feel of 100% silk charmeuse paired with a fitted silhouette and bold paisley lace make this dress the perfect combo of classic and impactful. What is it about a high neck that just screams chic? The Austin is 100% satin faced silk chiffon that features a rose appliqué. 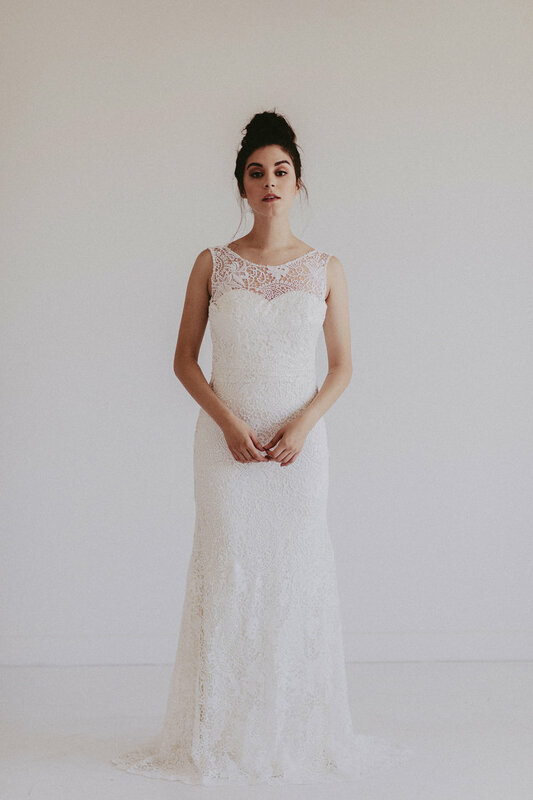 The sweetheart is a popular bodice choice amongst brides, thanks to it’s flattering shape. The Dolly takes the classic sweetheart look to a whole new level with 100% silk organza material with a gathered a-line skirt. The Remington is the perfect design for those seeking a bold option. The lace bodice and aline skirt provide an opportunity to play with different colors.